“At Botnia, we want to keep it simple. And with the Daily Face Cream in particular, it’s all about simplicity. I wanted to create a very stripped-down, nourishing everyday cream that could replace those conventional “basic” creams and lotions that are in fact filled with fillers and lots of preservatives. The skin is your largest organ, and less is more. 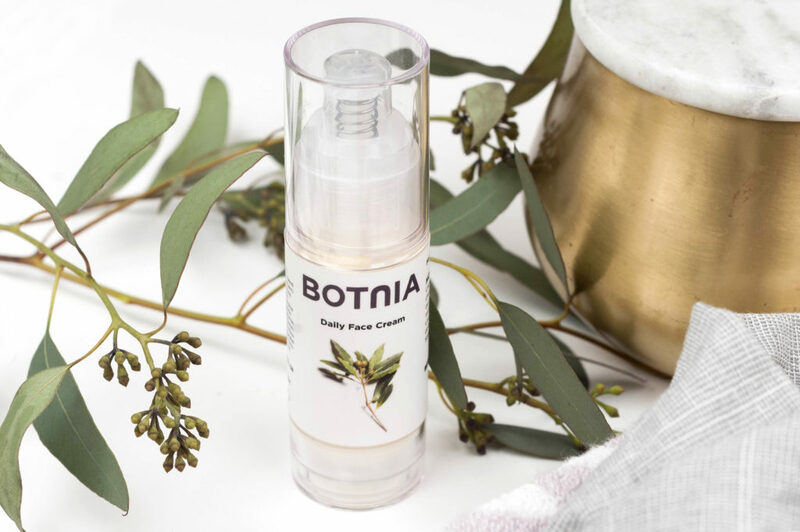 Jojoba oil – protects and nourishes the skin and is most similar to the natural oils of our skin. Squalane oil – a light, gentle oil made from cold-pressed olives. It penetrates the epidermis and it won’t leave your skin oily or greasy. Rose geranium hydrosol – Hydrosols are magic! Except they’re science, too. Botnia grows their rose geranium in their backyard garden and then their hydrosols are then made with a copper still by passing steam through the plant which condensed back into a liquid. Rose geranium has amazing antimicrobial and anti-inflammatory effects working to reduce redness and inflammation in your skin. When using this cream, you’ll want to get some massage action going. It was developed to be quite emollient, so it will take a bit of time to get it into your skin and absorb. It feels so nourishing and rich that it should feel natural to keep massaging it into your face! My skin is normal to dry and I fall in love with this moisturizer! Definitely the best I’ve ever used.